Model of the Month Club is a group for discussing recent work in quantitative textual analysis, with a particular emphasis on dissecting the underlying statistical models being used. 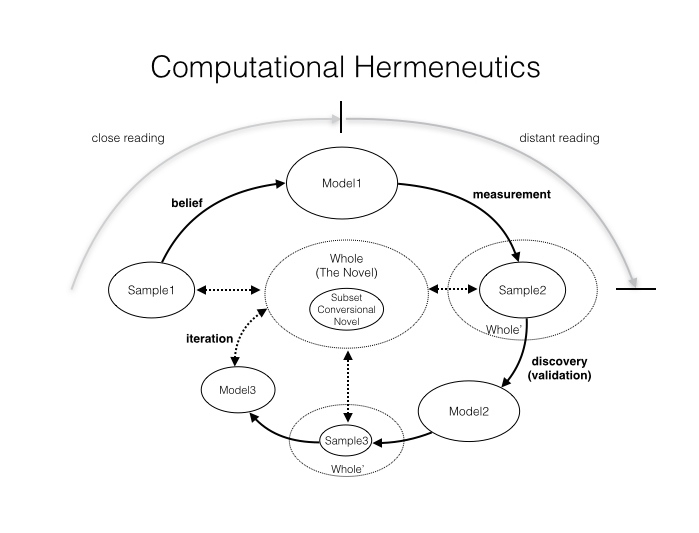 November’s meeting looked at Andrew Piper’s “Conversional Reading, Computational Modeling, and the Modern Novel” (New Literary History 46.1). The slides for the presentation are below. As always, I would love to chat more about emerging approaches to literary scholarship, so please get in touch if you would too.